Bellona, is the fictional city of Samuel R. Delany’s 1974 science fiction cult classic Dhalgren. It is a place beyond reason, where time and space are out of joint and architectural fixtures seem to be in constant flux and transformation. 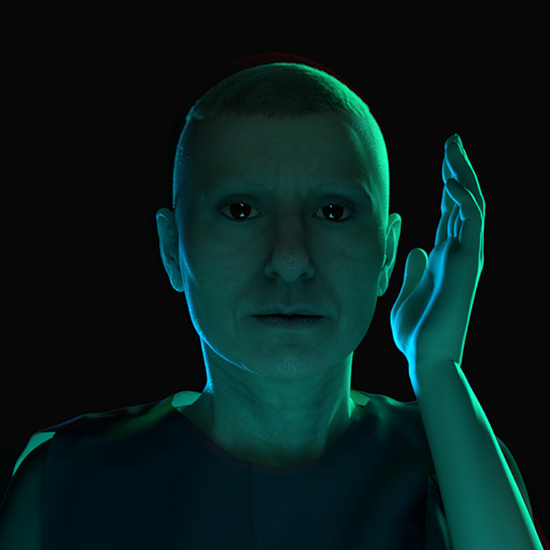 In Lislegaard’s 3D- animation, Bellona is a psychological space, in which norms and standards seem to dissolve into chaos of anti-hierarchical conditions: a shifting labyrinth of displaced memories and inexplicable events, where lights switch on and off and doors and windows open and shut without any apparent reason. “There are times when these streets seem to underpin all the capitals of the world. 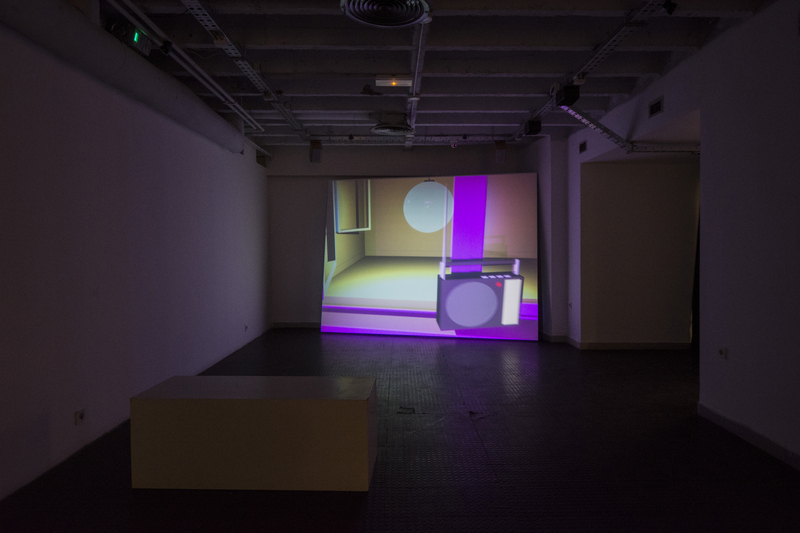 The miracle of order has run out and I am left in an unmiraculous place where anything may happen.” Words underpin the subtle interplay between cinematic, architectural and conceptual space in Lislegaard’s work. Bellona is an unsettling place; a science fictional terrain of pivoting walls, suspended globe lamps and strange infernos. 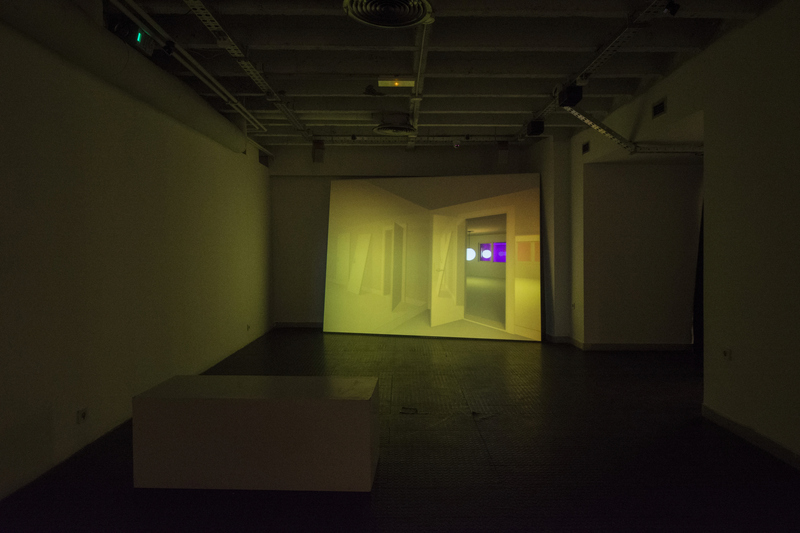 The work of Ann Lislegaard is based on sculpture and time-based media and she works with techniques of 3D animation, photo, drawing, collage, sound and light. She has exhibited internationally, comprising solo exhibitions at MOCAD-Museum of Contemporary Art, Detroit; Raven Row, London; Henry Art Gallery, Seattle; SMK National Gallery of Denmark, Copenhagen; Tel Aviv Museum of Art; Contemporary Art Center-Marabouparken Stockholm; Astrup Fearnley Museum of Modern Art, Oslo. Ann Lislegaard has participated in international exhibitions at institutions such as The Kitchen Chelsea, New York; Museum of Contemporary Art San Diego; Ludwig Museum-Museum of Contemporary Art, Budapest; Mamco–Musée d’art moderne et contemporain, Genève; Louisiana Museum of Modern Art, Humlebaek; The Pulitzer Foundation for the Arts, St. Louis; MOCA–The Museum of Contemporary Art, Los Angeles; Tensta konsthall, Stockholm; OR Gallery, Vancouver; Latvian Center of Contemporary Art, Riga; Reina Sofia, Madrid; Hayward Gallery, London.